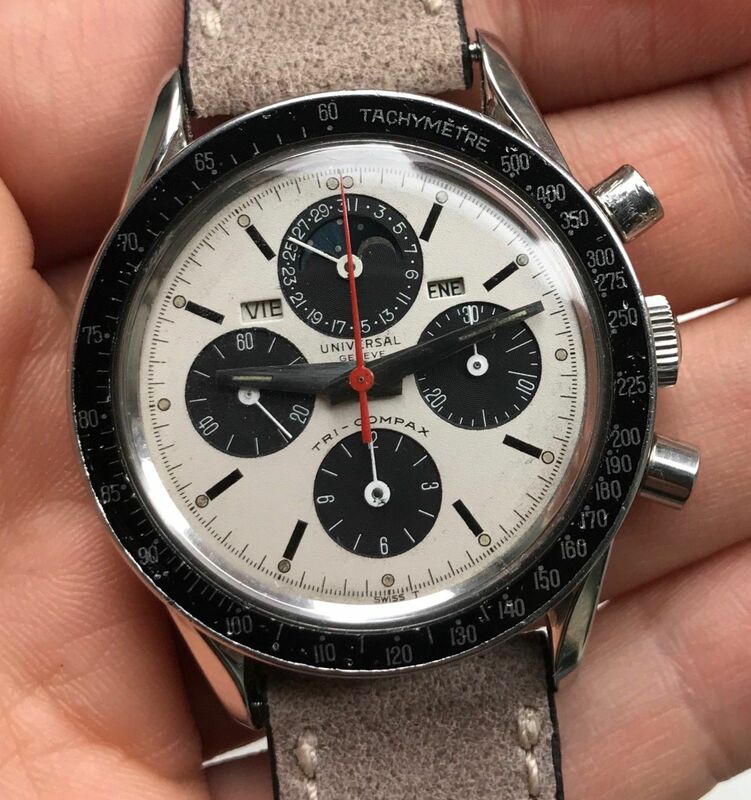 After the Compur and Aero-Compax, UG needed a chronograph to win public perception in the post-war luxury market. They introduced this Tri-Compax and it immediately won favor across the market. Tri was used to designate the three complications on feature: a moon-phase, chronograph, and calendar. It did so well in the market as to capture the attention of one Eric Clapton. That not only brought the Tri-Compax to the public eye, but all of Universal Genéve. This, the most iconic model, rarely surfaces for sale. Let alone at no reserve. All appears to be original. The red seconds hand is appropriate for this serial number range. No polishing is visible. There are no supporting documents, but this UG speaks for itself. It is an unmistakable silhouette for the true connoisseur. Find this beautiful panda here at no reserve.